Bodo, Norway, is a small but growing cruise destination, with hopes of seeing some 50 ships a year by 2025, according to a spokesperson. That would be well up on 18 ships expected this year, accounting for just over 20,000 cruise guests, he said. 2018 is up over 2017’s 11 calls, while 2019 is looking good too; 28 calls were booked into Bodo as of April, and “we expect that number to rise,” said the spokesperson. 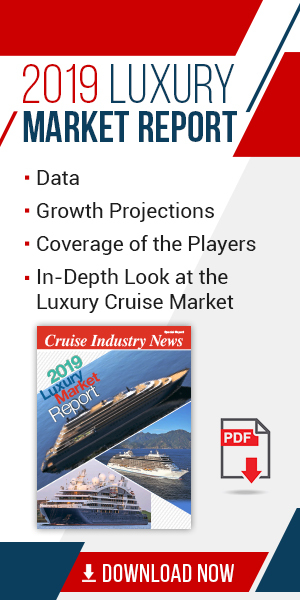 The growth is coming in the winter, as 50 percent of business will happen between January and March as cruisers head to Norway in hopes of seeing the Northern Lights. Bodo has organized its own local cruise network, made up of port officials, transportation providers, local officials and the shore excursion companies. As the first port north of the Arctic Circle, Bodo offers a variety of year-round shore excursion options and can handle most ship sizes. A dredging project will make calls even easier come 2019, as Bodo will be able to take ships up to 340 meters in length.